In response to a significant number of broken and missing parking meters throughout the City, Council are exploring alternatives to on-street metered parking. The Paid Parking Management Strategy, adopted by council early this year, outlines a long-term parking plan which includes the purchase of new meter hardware in 2019 to replace meters in the downtown. An interim solution is required to address the high number of broken meters so that downtown businesses customers have access to parking. In the coming weeks, City Council will be presented with a plan for discussion. 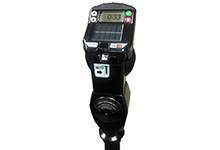 Any changes to parking at broken or missing meters will be communicated to the public following this discussion. The Paid Parking Management strategy is a five-year plan, to be rolled out in phases. It will see a combination of new parking meters, pay-by phone via app or toll-free number, and pay stations. The strategy is available on the city’s website.